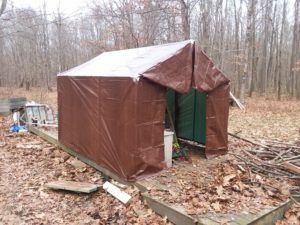 The tarp shed is FINISHED!!! And I mean finished. 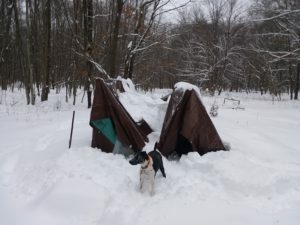 We got about a foot of snow last night and the tarp shed just couldn’t take it. At least all my tools are protected underneath. I will be building a solid wooden shed when the weather improves.